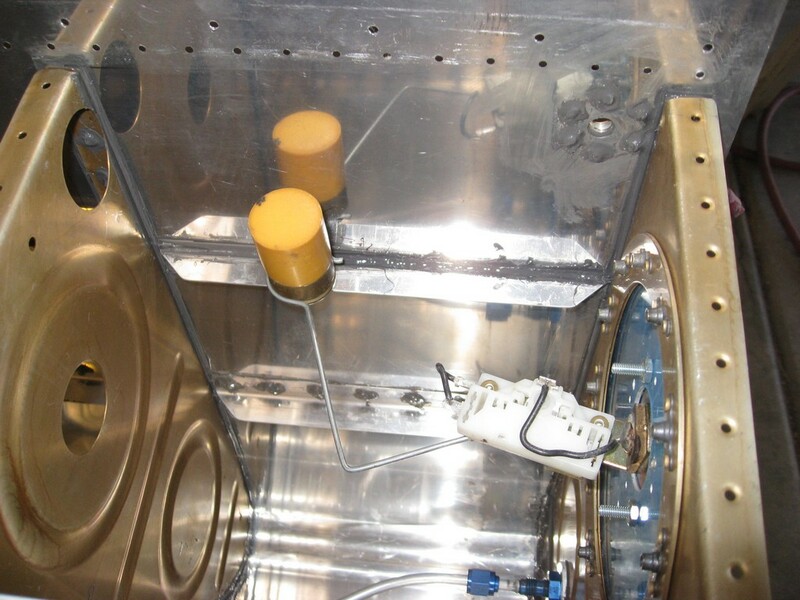 This post is all about a noise that can exist inside RV fuel tanks. It put our backs up for a short time whilst we investigated it; thankfully without having to go inside. We satisfied ourselves that all was indeed, well. For the benefit of others I’ve described the process we went through to try and identify the noise. I first noticed a metallic rubbing and knocking noise when pushing the aircraft back into the hangar. It sounded to me like a nut scraping around on the bottom of the tank. Googling the symptoms led me to Service Bulletin 06-2-23, Safetying of standard and flop-type fuel pickup tubes. The SB was published after apparent disconnections of the nut that holds the fuel pick up tube in place. This led to the tube and nut combination roaming free inside the tank (presumably in a nut down and more buoyant tube up attitude). The noise in the video seemed to match my mental image of this scenario. The problem also apparently led to at least one forced landing as when the fuel level reaches the top of the bracket where the nut used to be, it stops feeding and starves the engine of fuel. Thankfully I posted the question on the Van’s Air Force Facebook group and a number of people responded regarding SB 06-2-23. However, one guy said that he’d experienced noises at a certain fuel level when the float would bang against the top of the tank. Back to the airfield, we positioned the aircraft sideways on a slope to simulate different fuel levels at the point of the float. The noise was generated by pushing forwards on the leading edge of the wing, rocking the aircraft forward and back. What we found was that the noise would still occur, but not as pronounced, when the fuel level was ‘increased’ on the problem tank by putting that wing uphill. It was hard to replicate the noise in the opposite tank, until we started approaching the problem differently. If the float really was touching the top of the tank, you ought to be able to hit it and generate a noise directly at the point of contact. See an image of the tank float on N35KT.blogspot.co.uk. So we started to gently tap the top of the wing in the region of the float to pinpoint the exact location. Sure enough, we found a point at which we got feedback. By hitting harder in this location, we could hear and feel the float rebound up and down, tapping the top of the problem tank. When we tried this on the ‘good’ tank, we found it was just as easy to get this outcome of the float going up and down, striking the top of the tank. This satisfied us that we did indeed have a noise float and not a broken fuel pick up line. As a final test we flew it on the problem tank at 60 degrees plus bank, simulating a fuel level that would be well below the pickup line attachment point – and it still fed fine.